GE Ventures invests in startups that develop transformational technologies and applications to solve big problems. As a strategic investor, GE Ventures provides domain expertise and access to GE’s resources as well as funding to help companies scale and grow. Corporate Website: For more information, please visit http://geventures.com/. PwC - http://www.pwc.com - is founded on a culture of partnership with a strong commercial focus. This is reflected in our vision: "One firm - a powerhouse of a commercial enterprise that does the right thing for our clients, our people and our communities." Our goal is to build the iconic professional services firm, always front of mind, because we aim to be the best. We set the standard and we drive the agenda for our profession. We understand the challenges a company faces setting up and running a Corporate Venture Capital (CVC) business. Our industry and technical expertise, which encompasses all aspects of creating, implementing and running a CVC business, puts us in a unique position to advise the CVC throughout its lifetime. Corporate Website: For more information on our corporate venturing capabilities, please visit http://www.pwc.com/gx/en/services/advisory/deals/corporate-venture.html. BP Ventures identifies and invests in private, high growth, game-changing technology companies, accelerating cutting edge innovations across the entire energy spectrum. Our portfolio is primarily focused on emerging technologies in oil and gas exploration and production and downstream conversion processes. In addition, we have a renewed strategic focus on five key areas: bio & low carbon products, carbon management, power & storage, advanced mobility and digital transformation. • We announced five new venture investments in 2016. PitchBook is a financial data and software company that provides clarity into the capital markets to help professionals discover and execute opportunities with confidence and efficiency. We collect and analyze detailed data on the entire venture capital, private equity and M&A landscape—including public and private companies, investors, funds, investments, exits and people. Our data and analysis are available through our suite of products (the PitchBook Platform), industry news and in-depth reports. Corporate Website: For more information, please visit http://pitchbook.com/. For more information, please visit www.svb.com. ProSeeder is an enterprise solution for corporations to build a proprietary ecosystem of emerging companies, to gain market intelligence in defined sectors and execute on strategic corporate objectives. Unlike traditional CRMs, ProSeeder does not require additional engineering or development, allowing corporations to bypass extended periods of custom development and unnecessary expense. We are a purpose built solution for the corporate innovation / venture / development use cases and provide a fully integrated suite of collaboration tools to manage the spectrum of opportunity cases, while facilitating document aggregation, data collection and visualization, and efficiency monitoring, resulting in a centralized repository of corporate institutional knowledge. We are offering a 30 day pilot license, at no cost, of the platform to any corporation that is part of the GCVI community. Please visit us at www.proseeder.com/pilot-program/ to get started today. 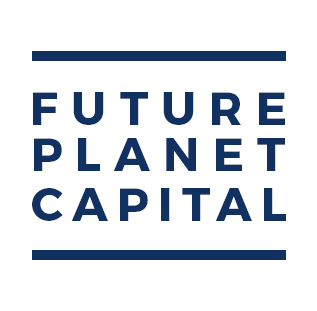 The Future Planet Awards will accelerate the development and raise the profile of new and growing firms that make a substantive impact on major global challenges. Now in it’s second year, the Awards will once again enable a premier audience of leading investors and influencers to become aware of the companies’ work. All entrants will have been established during the past decade and will be commercialising new technology or research related to one of five impact categories: Climate Change, Education, Health, Security, or Sustainable Growth. For more information and to enter visit www.futureplanetcapital.com/awards. Baker Botts is an international law firm of approximately 725 lawyers practicing throughout a network of 14 offices around the globe. Based on our experience and knowledge of our clients’ industries, we are recognized as a leading firm in the energy, technology and life sciences sectors. For more than 175 years, we have provided creative and effective legal solutions for our clients while demonstrating an unrelenting commitment to excellence. For more information and to enter visit www.bakerbotts.com . Intel Capital invests in innovative startups targeting artificial intelligence, autonomous driving, workload accelerators, 5G connectivity, merged reality and a wide range of other disruptive technologies. Since 1991, Intel Capital has invested US $12.2 billion in 1,520 companies worldwide, and more than 650 portfolio companies have gone public or been acquired. Intel Capital curates thousands of business development introductions each year between its portfolio companies and the Global 2000. For more information on what makes Intel Capital one of the world’s most powerful venture capital firms, visit www.intelcapital.com.